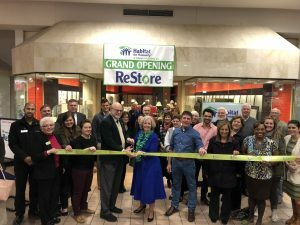 The Chamber along with its Ambassadors, elected officials, family and friends were all on hand to cut the ribbon at the new Restore in ViaPort Mall on Thursday, November 29th. The new store is adjacent to the food court and full of wonderful, previously loved items ready for sale. 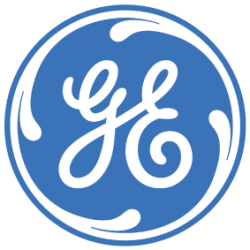 This venture was made possible by the innovative management group of ViaPort Mall, and their commitment to providing retail, entertainment, food service, employment and community outreach at one accessible location. 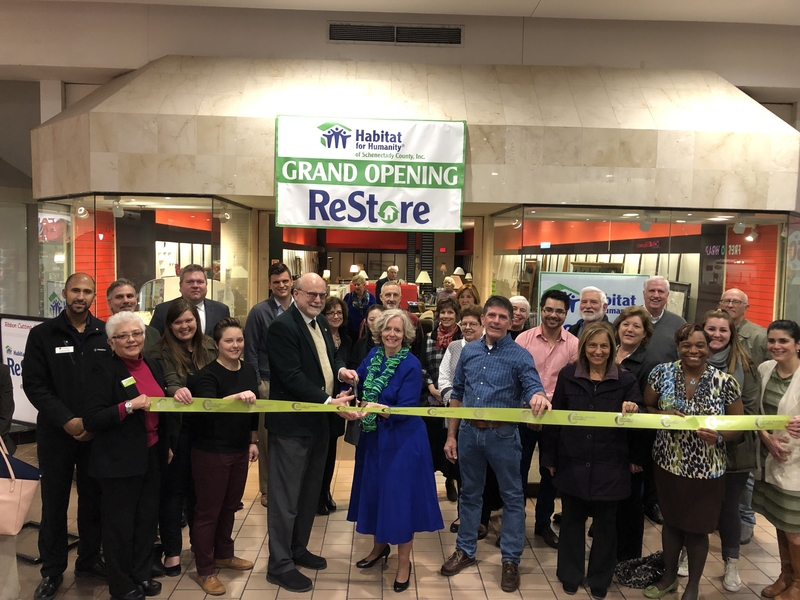 “Schenectady Habitat’s ReStore team is thrilled to expand beyond our 115 N. Broadway location.” says Madelyn Thorne, Executive Director of HFHSC. 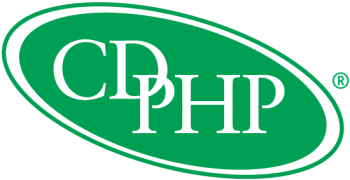 “Habitat is currently in the process of building a new home and refurbishing another home in the Rotterdam Community. Additionally, Schenectady Habitat’s new Ramp Up program (building ramps for residents to stay safely in their home) is completing a ramp in Rotterdam. Thorne states “The ReStore at ViaPort exemplifies the strong partnerships within our community that advance Habitat’s mission of building homes, communities and hope.” Proceeds from sales at both the Schenectady ReStore and ReStore at ViaPort will help fund building affordable, safe housing across Schenectady County.